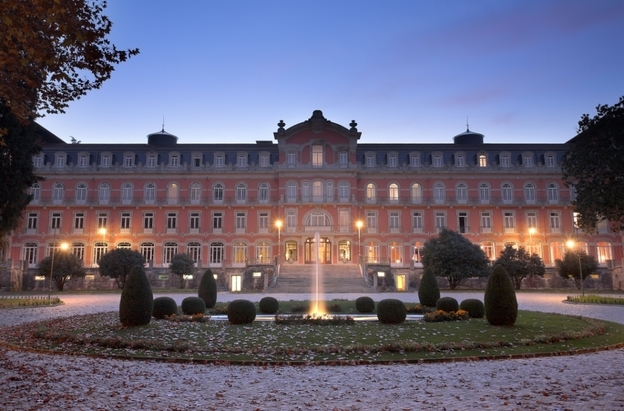 It seems to me King Carlos 1 knew a thing or two about tourism when he ordered the building of the Vidago Palace Hotel at the turn of the last century. He and many of Europe’s well to do were coming to this special park in northern Portugal an hour or so from Porto to enjoy the magical healing powers of the iron rich mineral water which bubbled out from the underground spring. He wanted a grand hotel to be built here, a royal palace to make his elite visitors feel more at home and properly indulged while they bathed and drank the magical waters.